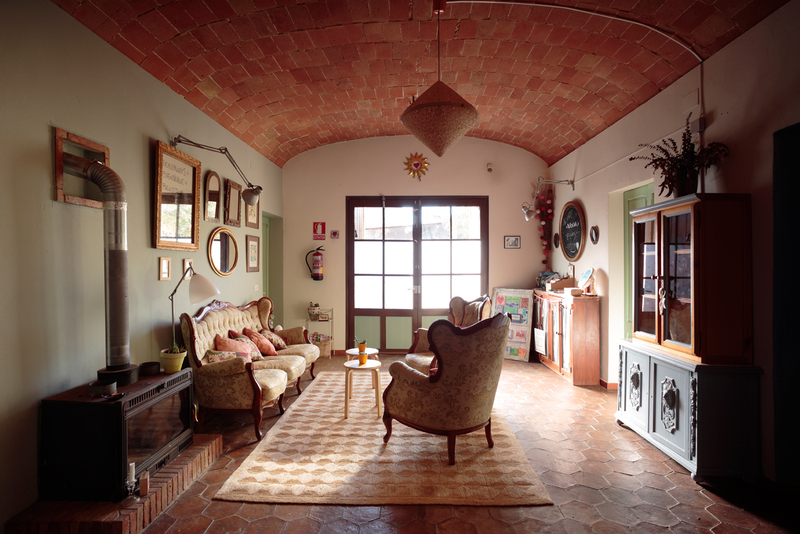 Join us for an amazing Yoga Holidays in Costa Brava, Spain where we will practice Yoga, Meditation.The Yoga & Meditation Retreat will take place at Espai de l’Harmonia Retreat Center; located only 20 minutes from the most beautiful beaches of Spain. Our program includes various activities: meditative walks in nature, variety of yoga classes & workshops for all levels: Hatha Raja Yoga, Vinyasa, Pranayama, Meditation, Satsang and Deep Relaxation. Enjoy the sunny beaches of Costa Brava, meditative walks in naturet. The classes will be guided by international yoga teacher Shahar Abiad (Israel / Barcelona). *All rates are per person VAT included. * All activities are optional. * Classes will be in English & Spanish. * Europe Yoga Retreats reserves the right to make changes in schedules and / or remove activities. Hatha Raja Yoga: Classic yoga practice with an extended stay in positions, breathing should be calm and position will be stable and comfortable. Dharma / Vinyasa Yoga: The practice is based on the Shiva Namaskar Vinyasa series, developed by Master Sri Dharma Mittra. The practice combines classic asanas, challenging asanas and free Vinyasa Yoga Nidra (deep relaxation yoga), pranayama and meditation. Satsang and Meditation: Spiritual Lessons teaching about Yogi philosophy in everyday life. Pranayama: The classes of Pranayama & Kriya Yoga are based on ancient methods for controlling the life force, methods to cleanse the body and mind as well as meditation sessions. Explore pranayama, the practice to center your attention on the breath in different ways. Together we will experience the benefits of breathing in order to apply them in different situations of our daily life: how to use breathing to calm the nervous system and to increase the power of vital energy. You will also learn about yoga nadis (psychic channels) and the chakras (energy circuits). All Meals will be 100% Vegan. Spain. Shahar began to practice yoga as a process of self-realization, and is continuously exploring and studying the discipline. He served his teacher Roxi Stolk for several years as a full time karma yogi in Yoga Mala Studio (Israel). The philosophy of yoga is now an important pillar of his way of life. Shahar was certified by legendary Master Yogi Sri Dharma Mittra . He also studied with renowned teachers such as Shakti Mhi, Dechen Thurman, Prassad Ragnekar, Tj Jackson & Dr. Tina Berkovits. Shahar led the yoga studio B Kind Yoga (Israel).For more than 5 years he was a therapist of reflexology and holistic therapies at Reuth Medical Center, Tel Aviv. He currently runs workshops and yoga retreats in Europe, Israel and Argentina. To book your place on any of our programs we require a deposit payment. To book your place on any of our programs you have to fill the registration form & medical record. “Cancellation” is defined as not attending the retreat. Deposit is non-refundable but it can be transferable to another attendee. *If you cancel 15-29 days before your retreat start date we will refund 75% of your payment. *If you cancel less than 15 days before your retreat start date, we will refund 60% of your payment. *Note: Reservations are not effective until you receive a confirmation from the organization.